One of the most important albums of my life is the album I spent almost twenty years not listening to. The others, the ones I listened to daily, over and over again for years, the ones I memorized, they stay with me too — even after the breakups or the new relationships or the new cities that somehow sapped the old music of some of its former power. Each album can take me to a specific place, a time, a face staring back at me — or the back of that same person’s head as they walk away. But this album, Smash — I spent years turning the radio dial when one of its songs came on. I could never escape it. On April 8, 1994, The Offspring, a punk band from Huntington Beach, California, released their third album, Smash. It was an inauspicious day to release a rock album. Kurt Cobain’s body was found the same day at his home in Seattle. A shotgun and a suicide note were found nearby. “I haven’t felt the excitement of listening to as well as creating music, along with really writing . . . for too many years now,” it read, in part. The twenty-seven-year-old Cobain had shot himself in the head several days earlier. When Smash came out, The Offspring’s front man Dexter Holland was on a leave of absence from his molecular biology PhD program. As a teenager, he’d been the valedictorian of Pacifica High School, and had met bandmate Greg Kriesel on the cross-country team. A bright and “normal” guy in a music world full of troubled souls, Holland was in grad school because no one really made money in punk — The Offspring’s previous album had sold fifteen thousand copies. Though their songs were dark and dealt with teenage alienation, violence, and low self-esteem, the band was mostly just messing around and having fun. It was a side project. Then “Come Out and Play” was released. Holland was sick at home on the couch watching Montel Williams when he came up with the idea for “Come Out and Play.” The show was about kids who needed to bring guns to school for protection. God, that’s so ridiculous, he thought as he watched. But he also thought it’d make for a good song. Whether they identified with the gang members, or were playing out early nineties gangster fantasies via punk rather than rap, or were in on the joke, or if they even heard all the lyrics over the hypnotizing rhythm and Middle Eastern guitar riff, suburban kids across the country ate it up. Hey, man, you talkin’ back to me? Hey, man, you disrespecting me? The single was released in March. 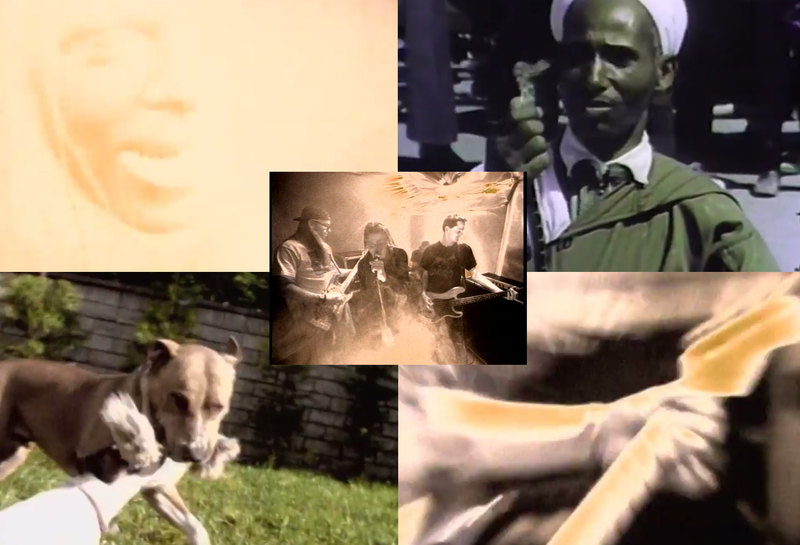 That summer, a mostly black-and-white music video featuring the band playing in a garage, dogs fighting for a toy, and shots of snakes and snake charmers was all over MTV. The song reached No. 1 on the Billboard Modern Rock Tracks chart. The album sold more than eleven million copies and became the best-selling independent-label album of all time. Holland didn’t need to return to school. Is gonna tie your own rope, tie your own rope, tie your own . . .
I’ve been looking through my brother Kris’s stuff. There was a box of it at my parents’ house, stored out in the garage. I packed it all together in a small black duffel bag one weekend when I was visiting them. Now it’s at my place. Notes and photographs and sympathy cards addressed to Mom and Dad and me. As I sift through the pieces of his life, the album I’ve been avoiding for almost twenty years starts to grow on me. I find myself listening to it on the stereo, or watching the videos on YouTube, even when I’m not writing about Kris. I’ve stopped turning the radio dial in the car when “Come Out and Play” comes on. Sometimes it feels like these albums transport us back to the moment when we first heard them. As if nothing’s changed. But that’s an illusion, of course. Our deepest memories are alive in the present moment. December 16, 1994. Seventh grade. I’m at school on the last day of classes before winter break. I don’t know it yet, but Kris has been suspended from his high school for dealing drugs. A few tabs of acid here and there. Now he’s at home by himself. He walks down the wooden stairs into the unfinished basement. He takes a CD out of its plastic case and puts it in the black JVC boombox. Does he sit down and listen intently to the whole album? Does he put it on in the background while he gathers his supplies, goes about his work? Or does he press play and then immediately step up onto the box and wrap the sheet around his neck, take another step, nothingness — while the music plays on for 46:47, at which point the house becomes completely silent. Kyle Boelte is the author of The Beautiful Unseen, forthcoming from Soft Skull Press in February, from which this essay was adapted.